Attired in his typical white kurta, with a beard of not more than two, three days, he has his stylish smile intact. With headphones on, he stands in front of what looks like a sophisticated recording mike. Right next to him is the Mozart of Madras, smiling timidly. Almost a year after he was admitted to a hospital for exhaustion while shooting for his film, actor Rajinikanth is back to his rock star self. He was at A.R. Rahman's studio recently, to record a song for Kochadaiyaan. 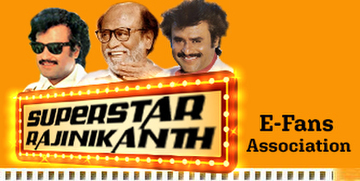 Kochadaiyaan, being directed by the actor's daughter Soundarya Ashwin Rajinikanth, has director K.S. Ravikumar writing the story, screenplay and dialogues. He is supervising the direction, too. The 3D film which is made using motion capture technique features actors Jackie Shroff, R. Sarathkumar, Aadhi, Deepika Padukone, Shobana and Nasser. It is expected to hit the cinemas in August this year. The performance capture technique used in this film, according to some crew members, is comparable to that used for films such as Avatar and The Adventures of Tintin. The poster released last month is already going viral on the internet, creating a lot of hype around the project, as is customary in every Rajinikanth film.